“Whether you need to plant one acre or one hundred, we have a variety of seedlings that are perfect for spring planting”, said Carol Bada, Conservation Seedling Program Manager. To qualify for the program, purchasers must own at least one acre of land in New Mexico and use the seedlings for conservation purposes. This may include providing habitat for wildlife, reforestation, riparian restoration, erosion control, windbreaks, or other conservation needs. Seedlings are sold in minimum lots of 49 of the same species for $80. Multi-species bundles are also available for the same price. Bareroot seedlings come in bundles of 50, same species or two distinct species, for $62. The final day for ordering is April 12, 2019. Secure payment with a Discover Card, Visa, or Mastercard can be made online at nmforestry.com. Checks are accepted with a mail-in order form, which is available for download on the NMSF website. There is a $5 handling fee per order and all sales are final. All proceeds are reinvested back into the Conservation Seedling program. Seedlings can be shipped by UPS or picked up at the NMSF Casa de Arboles seedling warehouse in Santa Fe, NM (3250 Calle Princessa Juana). Also, there are three distribution points available in Aztec, Rio Rancho and Taos. 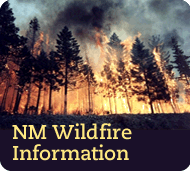 For more information about the NMSF Conservation Seedling Program, contact Program Manager Carol Bada at (505) 476-3334.